This article recently ran in the local news paper. Mary Makuta took that first Shaker basket class here at my house at one of the workshops I host. Since then she has taken almost 20 classes from my guest instructors. • How did it start? I was taught crochet and hand embroidery when I was 10 years old. By 13, I was designing and sewing my own clothing. Later, I began making my own draperies and becoming acquainted with fiber arts. In 1992, I became a porcelain doll artist. Years later, I created totes and handbags made of natural fibers. In 2004, I was introduced to the lost art of Shaker basketry. I attended a class taught by a well-known artist, Martha Wetherbee, who has devoted her life to preserving the art of Shaker basketry and other American 'signature style" baskets such as the Nantucket lightship basket. During the class, I created a small basket and fell in love with the wood. It's like satin. • What is a Shaker basket? The basketry originated in the 1700s in New England. Most consumers are familiar with Shaker furniture. It's very valuable. The Shakers of New England made outstanding fine arts such as furniture and baskets. A Shaker basket is made from the black ash tree grown in New England. To create a basket, the tree is cut down, hand-pounded, stripped, split and sanded. • What are your prices? My Shaker baskets start at $100 for a 5-inch basket, which is made of all wood. I also sell Nantucket baskets. Prices start at $75 for a Nantucket penny basket and up to $750 for a 13-inch Nantucket tote. • What else do you make? I create a hybrid purse made of ash or it can be made of cane. It's created the same way the Shakers prepared their ash 200 years ago. My hybrid purses start at $275. Some of my purse lids feature learned marquetry, an inlaid wood. They start at $500. • How long does it take to make one basket? It takes a month because of the carpentry process and the wood finish process. I also design a liner for the basket made of silk or wool. 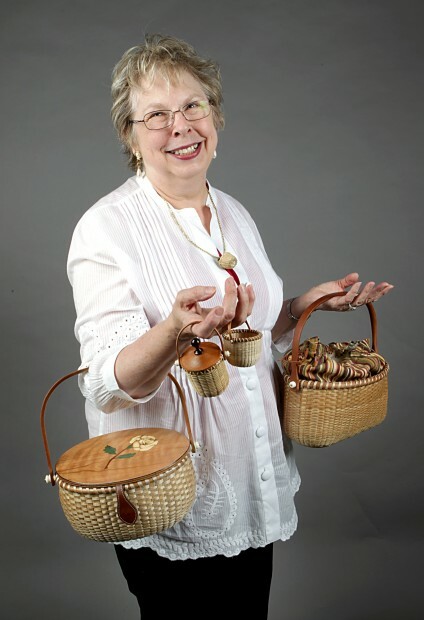 • Do you teach basketry classes? Yes. I have a workshop in my home, and my students choose an item to work on. I'm there to guide them through the process. Copyright 2010 www.STLtoday.com. All rights reserved.